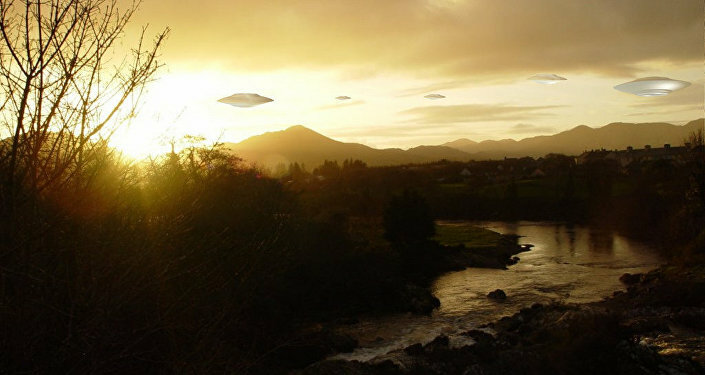 It emerged the other day that the Pentagon, following directives of the US Congress, launched a decade ago an off-the-books investigation into “unidentified aerial phenomena,” commonly referred to as UFOs, according to media reports. Unidentified aerial objects claimed to have been spotted by a number of pilots and other military staffers in the 2000s appeared to be technically surpassing anything in American or foreign arsenals, at times even revoking the laws of thermodynamics. One possible theory behind the bizarre encounters is the foreign track: some officials say certain world powers, e.g., China or Russia, might have developed revolutionary supersonic aircraft or other technologies posing grave dangers to US defense. We don't need to spend millions on ufos & ets. Try feeding the poor and homeless in USA. — Timothy Hutchison (@Timothy82347315) 19 декабря 2017 г. "They seem to be getting the public ready for some 'Big Reveal'…. Factual or Fabricated. Watch this space," wrote Sir Sidney R-D from the UK. As much as I want to believe, this is just filler being thrown into the mix by the government as a distraction. This would have been awesome ten or fifteen years ago. — CB Bellerose (@sparesoul) 19 декабря 2017 г. "Some people have too much time on their hands, should get back to work and pay taxes," one of the Daily Mail commentators noted. "Because all aliens only talk English like in the brainwashing Hollywood movies…"
"I believe we have, but someone's opinion is not proof. People like him toe the line when they are employed by the government and then come out afterwards making claims when they have a book to sell," shared PrincePhilip, an internet user. — woofyawnzzz (@Piequalsseven) 19 декабря 2017 г. — ProudIndian (@IVjGupta) 19 декабря 2017 г.
Well… duh!! Look at Gonzo and Richard Simmons. 2 very famous TV aliens. — ben bernier (@rathbone303) 19 декабря 2017 г. — Josh (@L_chyman) 19 декабря 2017 г. How Harry Reid launched the Pentagon’s UFO Program. — Leslie Eastman (@Mutnodjmet) 19 декабря 2017 г. According to media reports, the Advanced Aviation Threat Identification Program was initiated by then-Senate majority leader Harry Reid and cost American taxpayers around $22 million, until it was halted in 2012. The Mirage Men: Did CIA Create UFO 'Double Bluff' to Mask New Technology?